Airbnb just got a few thousand more supporters in its ongoing dispute with New York state. The rent-out-your-home service has thrown its weight behind a petition authored by a New York City host named Mishelle. In the petition, she asks the state's senate to fix what she calls a "poorly written law," which could curb Airbnb's reach in the region. "The reason this is happening is because of a poorly written law originally designed to stop slumlords from running illegal hotels with dozens of rental apartments," Mishelle writes. "As a New Yorker just trying to pay my bills, I don't understand why they think I'm a slumlord." "I figure that if we get 20,000 people to sign the petition, we'll get the state Senate's attention," she continues. "If we hit that goal by October 20th, I pledge to deliver the signatures to every senator myself." As of this writing the petition has surpassed 20,000 signatures, the majority of which were gathered within the last 24 hours. Airbnb also got behind the petition on Monday by sending out an e-mail to its thousands of New York members. "The New York attorney general has subpoenaed the records of almost all of our New York hosts," Airbnb's global head of community Douglas Atkin wrote in the e-mail. "We are fighting the subpoena with all we've got, but poorly written laws make for even worse enforcement, and unless you help to stop it once and for all, the laws may never get better and New Yorkers will continue to suffer." The debacle between New York Attorney General Eric Schneiderman and Airbnb has been ongoing over the past year, but it got heated when Schneiderman filed a subpoena earlier this month. The subpoena requests three years' worth of data on thousands of Airbnb New York hosts. 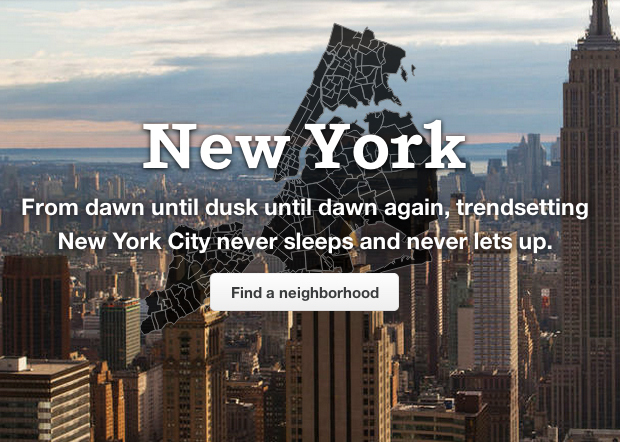 Airbnb has said that it has 225,000 community members in New York. The Attorney General's office is specifically looking for data on 15,000 hosts -- it's unclear if this includes almost all of Airbnb's New York hosts. While Airbnb has said that it will cooperate with New York's lawmakers to root out illegal hotel operators and slumlords, it also filed a motion last week stating the subpoena was "unreasonably broad" and it won't turn over sweeping amounts of information on hosts who have done no wrong. After the petition popped up and Airbnb sent out its e-mail to New York members on Monday, a spokesman from Schneiderman's office accused the service of fear mongering, according to the Wall Street Journal. Airbnb is "scaring and misleading thousands of well-intentioned New Yorkers and sending lobbyists to Albany to create legal loopholes," spokesman Matt Mittenthal told the Journal. Airbnb and the New York Attorney General's office did not immediately respond to CNET's request for comment.